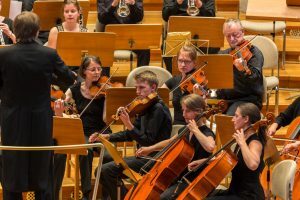 If you are interested in joining the Collegium musicum Bonn, then we have two introductory rehearsals held on Wednesday 10th and 17th of October at 7.30 pm (orchestra) and on Tuesday 16th and 23th of October at 7.45 pm (choir). Both take place at the auditorium of the university. Apart from that, the entry to the CmB includes a short audition in a small group. Don’t hesitate to fill in the form!